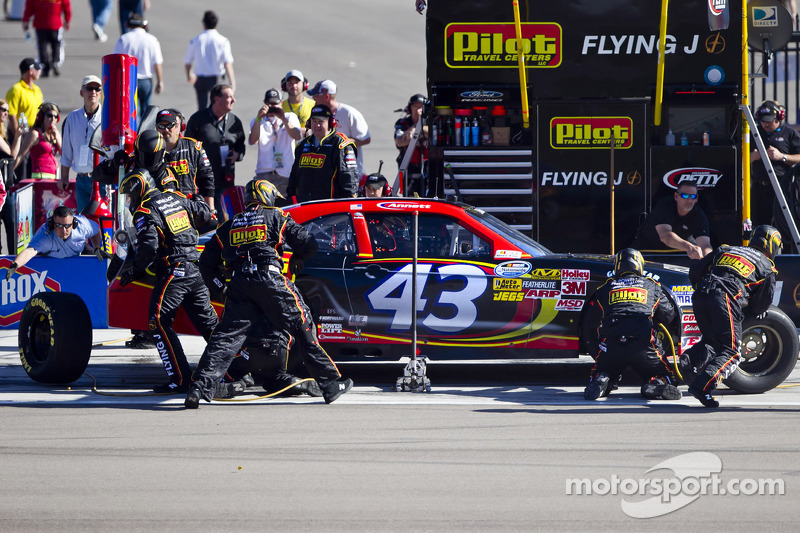 Saturday marked Annett’s fourth top-15 finish in just five races with Richard Petty Motorsports. Annett made his 110th NASCAR Nationwide Series start this weekend. In the early laps of the 300-mile event, Annett fought a car that lacked rear grip and Crew Chief Philippe Lopez made a variety of track bar and air pressure adjustments during the ensuing pit stops. 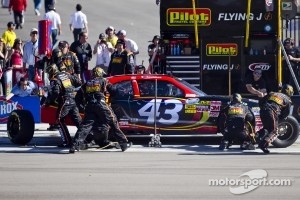 After each pit stop the Pilot Flying J car seemed to improve and following a Lap 105 stop, Annett reported the car was the best it had been all day. Annett ran in the top-15 for the majority of the 150-lap event and was scored as high as ninth with just 20 laps remaining. By the end of the race, Annett was clicking off lap times as fast as the leaders. 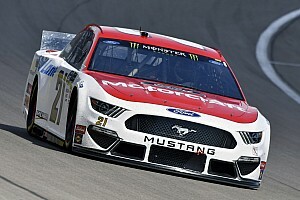 Joey Logano claimed the victory Saturday afternoon in a race that saw the caution flag wave four times for a total of 18 laps. Ricky Stenhouse Jr. was the highest finishing Ford in second position in Saturday’s NASCAR Nationwide Series race. Unofficially, Annett gained one spot in the NASCAR Nationwide Series driver point standings and sits in seventh position heading into Texas Motor Speedway. Annett’s Thoughts After the Race: “It’s just really hard to pass here. Even if your car works really well on the bottom, the guy on the top is going to have the momentum and you just drag race every lap and flip-flop going into the corners. 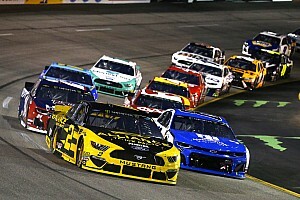 Before that final restart we were right around 10th and I thought, if anything, we were going to go forward from there. Then the caution came out and all day we didn’t take off like we needed to on restarts, so I knew we would probably lose two or three on the restart and then get those back. We got them back pretty quick, but trying to run down the 33 (Brendan Gaughan) for a top-10 I used up the tires early in the run. 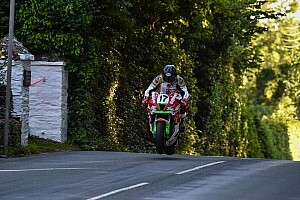 He was running the top and momentum prevailed, but all in all, it’s was a good day. We’ve got another Pilot Flying J Ford Mustang without a scratch on it, so we’ve got two weeks and a stable of cars that we’ve run already that we can work on and make better. We put this program together so quick that we haven’t had a chance to really sit back and do things exactly like we want. We’re close, but not exactly how we want, so we’ve got two weeks to get everything right and be a better team at Texas. 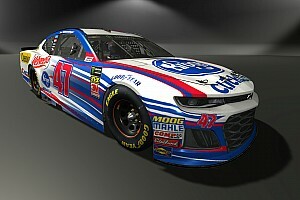 The NASCAR Nationwide Series will take the next two weeks off and return to racing action in the O’Reilly Auto Parts 300 at Texas Motor Speedway, April 13, at 8 p.m. ET. The event will be broadcast on ESPN2 and PRN Radio.